While both Jeeps are a great choice for seeing Kauai, which one you choose depends upon your needs. The primary differences between the 2 door and 4 door Wranglers is the amount of cargo space and access to the rear passenger seats. The 2 door Wrangler is fairly short in length, so it's limited in the amount of luggage it can carry. The rear seat in the 2 door can be folded down to create a decent amount of cargo space, but doing so means only two people can ride in the smaller Jeep. Access to the rear seats for passengers and bags is also greatly improved on the 4 door Wrangler Unlimited since the extra set of doors means passengers don't have to climb over the front seats to get in and out. Still not sure which Jeep to rent? 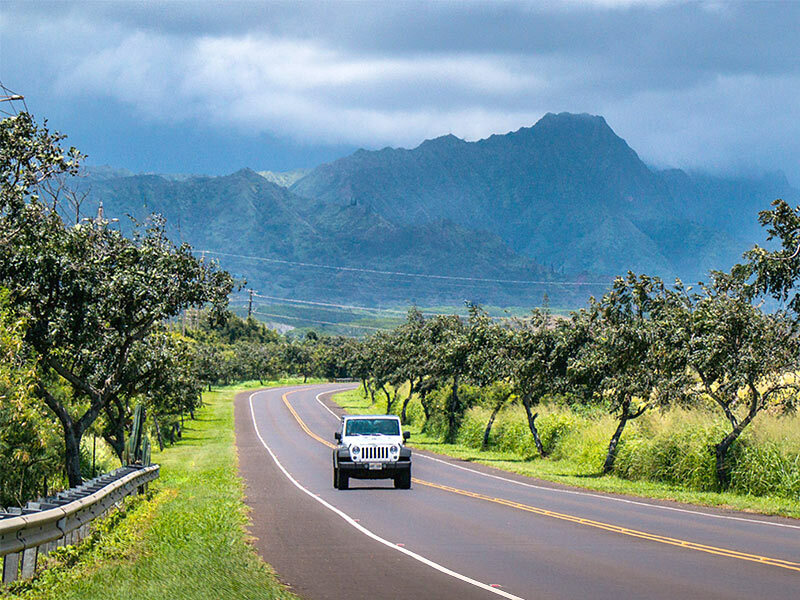 We can help you choose between a 4 door and 2 door Jeep Wrangler in Kauai, Hawaii. Even though the 4 door Wrangler Unlimited can handle more passengers and luggage, it's longer wheelbase means that it is just a bit less nimble than the 2 door Jeep. The two door will be easier to park and turn around in tight spaces, and since it weighs less, the 2 door gets just slightly better fuel mileage.